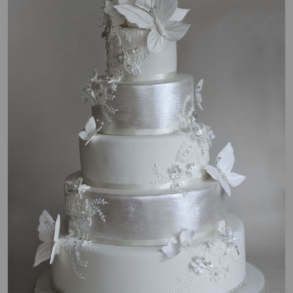 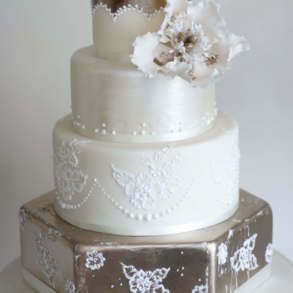 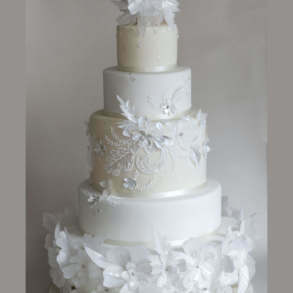 As with all things wedding related, trends play a huge part in determining our seasonal designs and if 2015 was the year of the "naked cake" 2016 is the year of the metallic cake with silver leaf, lustre, shimmer and even edible glitter all playing their part to make your wedding cake a real spectacle to behold without being overly "bling-ed"! 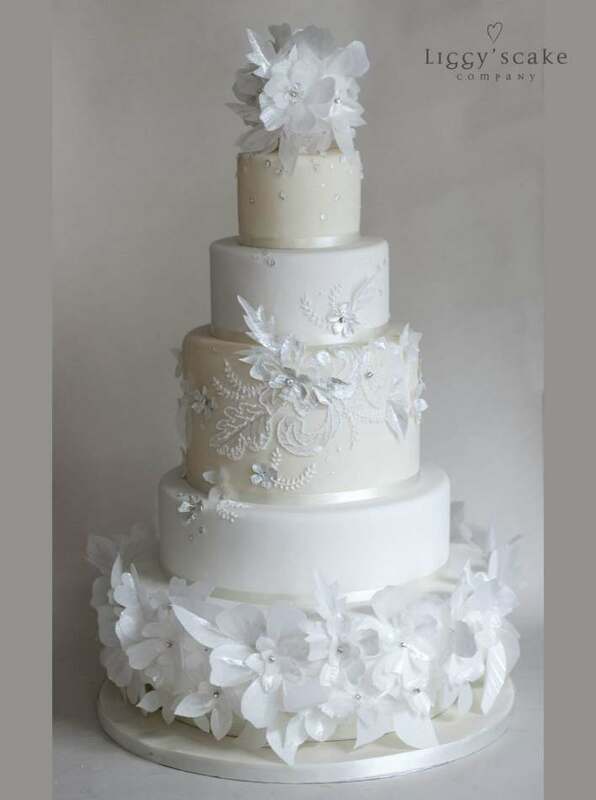 One of the most trendy ways to bring sparkle into the design is by using edible golden sequins to create texture and contrast with the smooth tiers of fondant coloured cake. 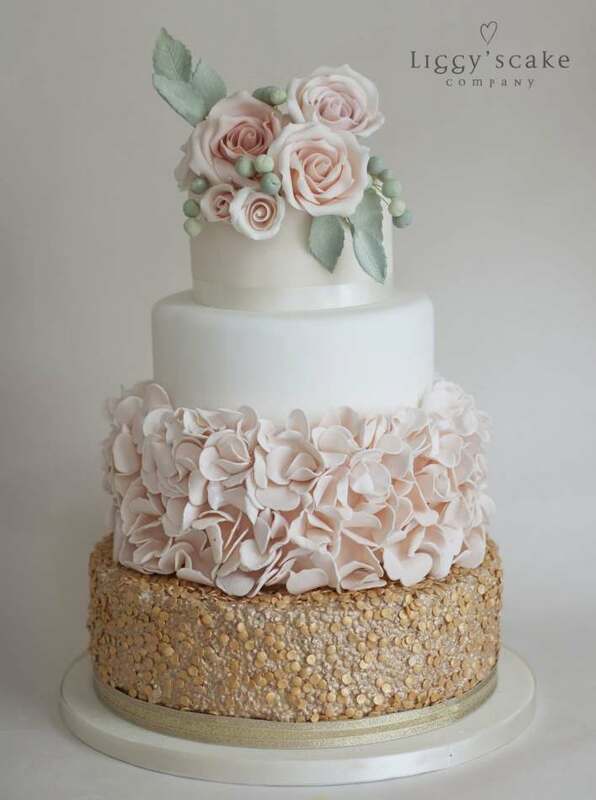 If you are looking for something with a little more impact, edible metallics will make a real statement and ensure your wedding cake gets everyone talking. 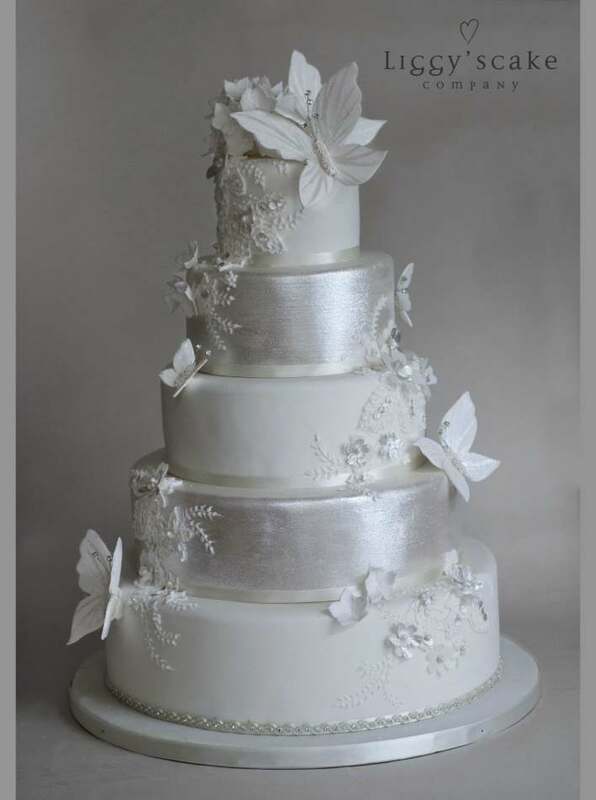 Edible silver and gold is carefully applied in micro thin sheets to the cake and built up in layers until a solid effect is achieved. 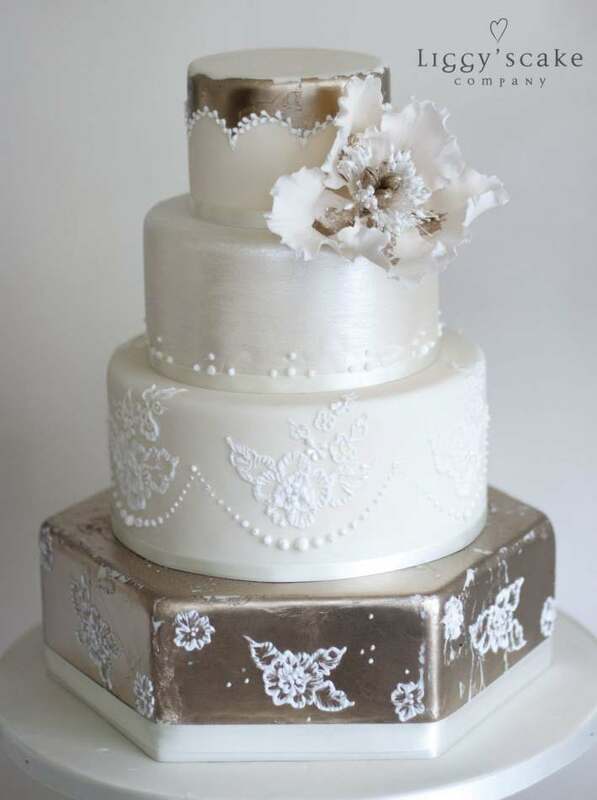 If rustic is more your kind of thing, we also use a distressed finish on many of our metallic cakes to give an antique effect to the finish of the cake.